If you are familiar with the articles on our site, you will know we are dedicated to stories about empowerment and how women around the world are working to create empowerment initiatives for others. We’ve shared a number or stories about how sports and athletics are becoming an avenue for women and girls to take ownership of their existence, despite living in a country where the social customs and demands do not necessarily allow this. In the Middle East we have seen an explosion of women who are defying the cultural taboos and constraints by riding motorcycles, skateboarding, becoming race car drivers, opening fitness centers, and entering in professional boxing competitions. Where it can make a major impact is in the lives of the younger generation. Girls who are able to participate in sporting activities can potentially be exposed to opportunities they would not have previously otherwise had. In 2012, the US Department of State launched an initiative called the Global Sports Mentoring Program, spearheaded by then-Secretary of State Hillary Clinton, in conjunction with ESPNW, to “support the United States’ global commitment to advance the rights and participation of women and girls around the world, with sports as the vehicle creating greater opportunity”. The program identifies a number of women from around the world who are identified as emerging leaders in the sports industry and pairs them with American female executives in sports-related fields in order to help develop initiatives and plans that will empower girls in their own communities. Some of the girls from the initiative are the subject of a new documentary series called ‘She Believes’, created by filmmaker Shana Mortensen of Happy Shiver productions. The videos focused specifically on the women from around Jordan and Egypt who are using sports as a tool for development, peace and empowerment in their communities, especially with women and girls. The full series will be available after January 1st, 2017, but the filmmakers have already released the first video s you can get an idea of what to expect from forthcoming episodes. The episode lineup features 2013 alum Hayam Essam, a basketball coach and player from Egypt, and 2014 alum Yasmin Helal, a biomedical engineering student and basketball player, also from Egypt who went on to play for Egypt’s National Team. The third woman is 2015 alum Batoul Arnaout from Jordan, a former member of the Jordanian national squash team who launched a local program to encourage more girls to get into sports after recognizing the lack of opportunities for them. 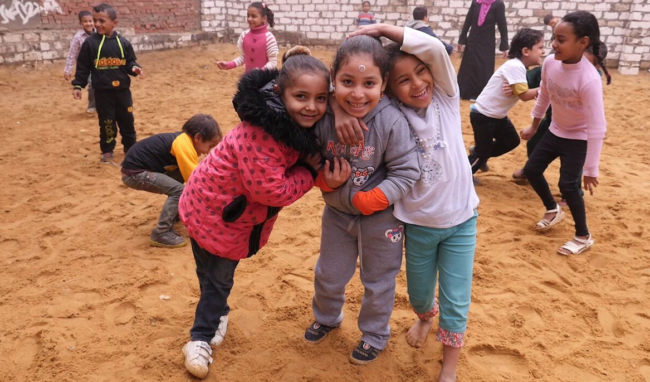 The fourth woman is Dima Alardah is a 2014 alum and professional badminton player whose work takes her inside the Zaatari refugee camp, allowing her to interact with a number of Syrian refugees whose lives have been affected by the civil war. Zaatari camp in Jordan is the second largest refugee camp in the world, and is fast becoming a permanent location for many due to the ongoing Syrian war. With a population of close to 80,000, it has its own self-sustaining economy, but crime and violence is also present. At one point in her life, Dima Alardah dreamed of becoming an Olympic badminton champion. Years after retiring from competition, she now dreams of restoring hope to women and girls all across the Arab world. 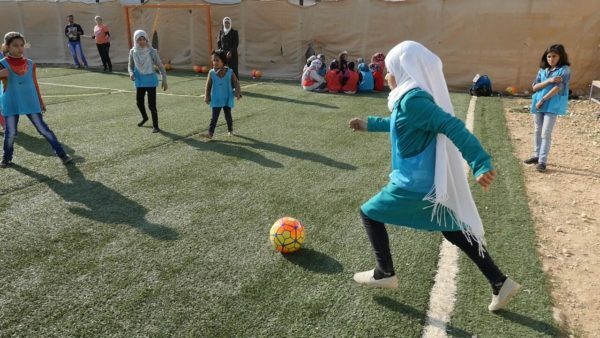 Through the vehicle of sports, Dima is working to provide athletic programs to girls in Zaatari and other refugee camps throughout Jordan, and partners with the Norwegian Refugee Council. Dima is the founder of the first badminton academy in the Middle East (Shuttlers Academy). Dima’s profile video also features key strong American women who are helping her to make these dreams possible, such as US national soccer players Mary Harvey & Lori Lindsey, figure skater Michelle Kwan, Co-Founder of Amy Poehler Smart Girls Meredith Walker, and more. Seeing the work women like Dima are doing for the younger generation is important and inspiring. It is often advocacy initiatives like the GSMP that can be the difference between a continued cycle of poverty and violence, and success and empowerment. You can learn more about the initiative by going to the official website, and stay tuned for more episodes from the ‘She Believes’ docu-series as they are released early in 2017.